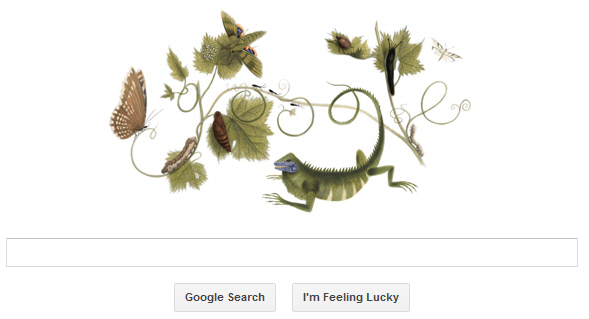 Google is celebrating Maria Sibylla Merian’s 366th birthday with a new google doodle on its homepage. Maria Sibylla Merian (2 April 1647 – 13 January 1717) was a Swiss naturalist and scientific illustrator who studied plants and insects and painted them in great detail. Her careful observations and documentation of the metamorphosis of the butterfly makes her a significant, albeit not well-known, contributor to entomology.Maria Sibylla Merian was born on 2 April 1647 in Frankfurt, then a free imperial city of the Holy Roman Empire, into the family of the Swiss engraver and publisher Matthäus Merian the Elder.